1. Wash the mid wings, pat dry with kitchen towel. 2. 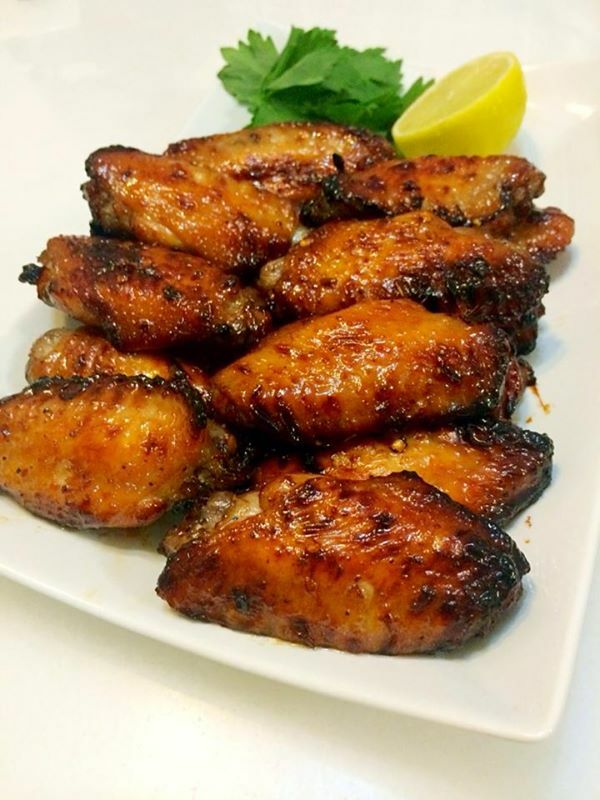 Pour all marinates into a glass dish, add in mid wings, mix well and let it season for at least 6 hours if you don't have time, 1 day will be better. Cover with lip and refrigerate them. 3. Bring out to rest in room temperature for 30 mins before bake or AF. 4. AF the wings with 180 C for 6 mins, flip over 180c for 6 mins and flip again AF 200 for 3 mins. Let it cool for 5 mins, serve with a wedge of lime/ lemon.